To streamline production, I will no longer offer parts in a painted state. You can still buy the same VHT FlameProof coating in the Paint and Supplies section of the store if you want to paint the parts yourself. Picture time! 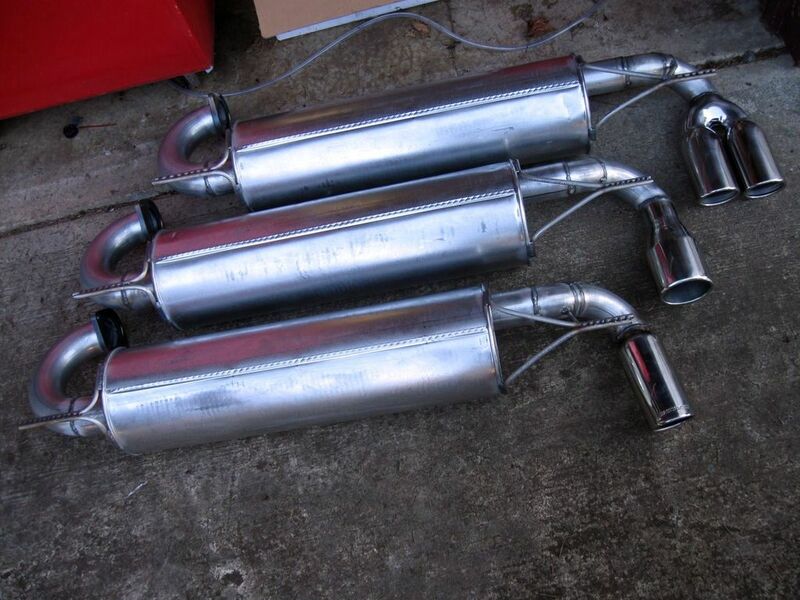 Here are the last three SC cat-back mufflers. Two of these are due to get paint today. The second one has an oval tip (not in the catalog) and the one at the bottom has the tip at an angle per the customer’s request. 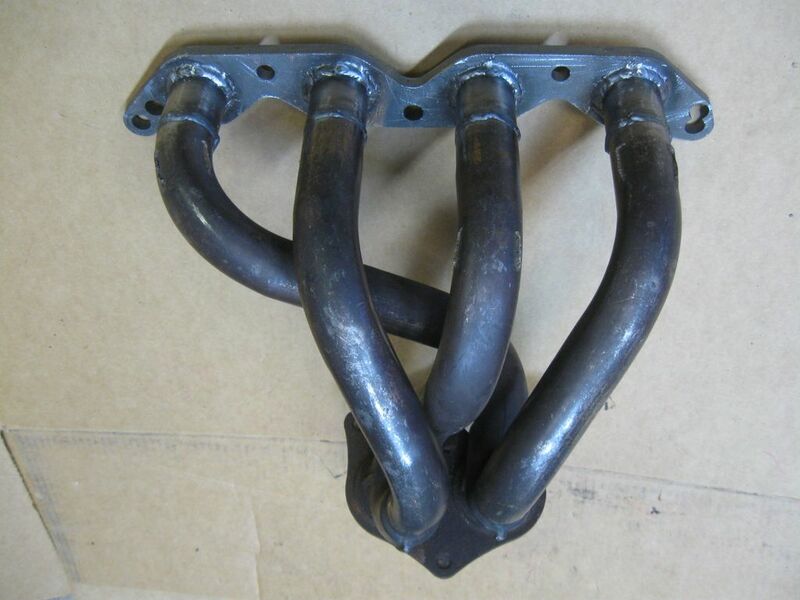 Finally, a header solution for 16V AW11s! As promised, here’s the newest addition to the SV3Power catalog. I’m now modifying 20V headers to fit 16V AW11s! This is an OEM Toyota 20V header, extended to clear the front-mounted starter on a naturally aspirated 4AGE, and fitted with my dual-pattern flange so it will fit both the 16V and 20V 4AGE cylinder heads.